Cold brewed coffee involves using cold water over an extended period of time to create a delicious, caffeinated beverage. Cold brew coffee is regaining popularity, and for good reason! It's the perfect summer beverage, so refreshing and cool. Why is it so awesome? Cold brew coffee has 67% less acid than conventional hot brews. That makes it perfect for people with sensitive stomachs, such as people suffering from heartburn or acid reflux. Brewing coffee with hot water extracts bitter oils and fatty acids. Alternatively, cold brewing results in a smooth, balanced cup of coffee with no bite. Cold brewing extracts the delicious flavors, and that all important caffeine and leaves behind the bitter oils and fatty acids. It can be hard to sip piping hot coffee when it's 100 degrees outside and 98% humidity, but icing hot brewed coffee leaves you with a watered down, unappetizing beverage. Cold brewed coffee is a refreshing temperature without being watered down. If you prefer hot coffee, it can be heated up in the microwave without losing it's smooth taste. 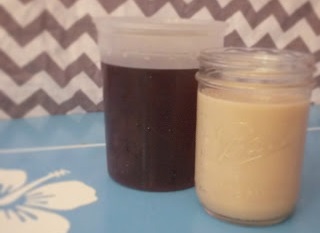 The only negative aspect to cold brew coffee is the amount of time it takes to make. It takes approximately 24 hours to brew. However, it's easy to start the next day's batch the day before. It also refrigerates well for 1-2 weeks in a sealed container without losing its flavor, so it's easy to make large batches to drink throughout the week.